3B Beauty is currently the only beauty subscription, I'm enrolled in. I started it last August when I came off their waiting list and this will be my 6th shipment. This essence contains marine collagen, Japanese apricot extract and licorice extract to freshen and soften uneven and rough skin. It also has niacinamide, a brightening ingredient that helps to reduce the appearance of scars and blemishes. Asian brightening products tend to use the word whitening when they mean brightening and I'm all for them because I seem to be on a constant quest for a more radiant and luminous complexion. Niacinamide is an ingredient that is in a number of products I already use. I find it effective and it also agrees with my skin. This is a full size product and that I look forward to trying after finishing my latest bottle of Dr. Brandt Skincare Laser FX Bright Serum which happens to be amazing by the way. I also previously reviewed it here. This is a sherbet cleanser that's formulated to thoroughly remove face makeup without irritating skin. It contains fermented rice bran which brightens skin while removing impurities. It effectively melts down makeup, even waterproof ones, while promoting a better skin texture by providing balanced hydration coming from its premium natural ingredients. This product is essentially a cleansing balm and is meant to be used in the first step of a double cleansing process. I think this very similar to the Banila Clean It Zero which is part of my current routine. The Banila product emulsifies when massaged onto the face and effectively dissolves makeup even waterproof mascara without drying out my skin. Ive heard good things about this Botanic Farm product so I was happy to see this. Snail mucin is scientifically and dermatologically proven to be highly effective and beneficial when it comes to skin cell regeneration and repair. This popular Korean essence contains 96% of snail secretion filtrate blended with other nourishing herbal extracts. It works on a cellular level to address acne, sun damage and scars and repairs the skin from within giving it moisture and nourishment. I actually started using this product recently and it lives up to all it's claims. First of all it's not slimy, it feels like a gel and no snails are harmed in the extraction of the snail mucin. This essence is unscented and is really good for hydration and smoothness and I feel like it has improved the overall condition of my skin since I started using it. I can't say I was that impressed to get foil samples of a product that has been around and is also fairly accessible. I might include these in a new Asian beauty giveaway I'm planning. This product can be found at Amazon and Memebox. This total care gel patch hydrates and nourishes the eye area with firming and brightening effects. It can also fade away dark circles and restore elasticity. 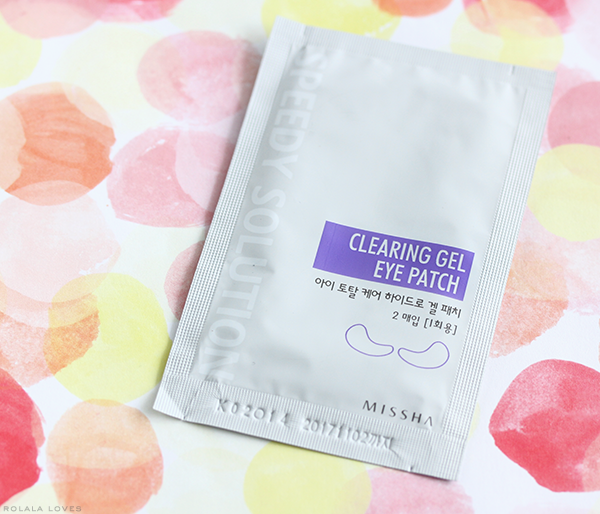 I've tried these before and these are similar in concept to the eye masks I reviewed last week. The difference is that you only leave these on for 20 - 30 minutes. These do have a cooling effect and moisturize but they do nothing for dark circles in my experience. This was another product that I was less than enthused about since I've used it before and it's accessible. 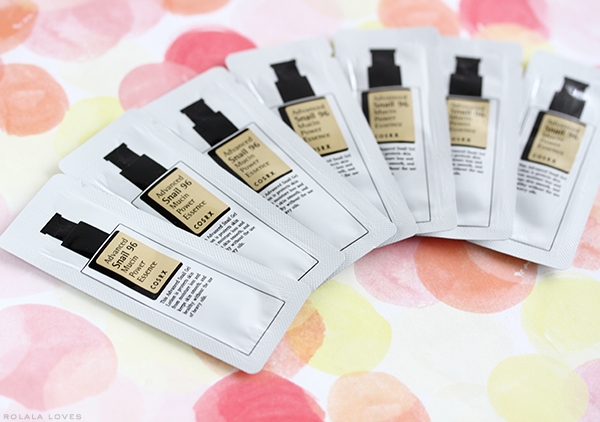 These are very affordable at $2.50/pack and you can find them at Missha. This is a mask that is supposed to give you amazingly soft feet. They're essentially booties made of a non-woven material that is enriched with a dry processed foot cream with shea butter, sunflower oil, aloe vera and sodium hyaluronate. You put them on for 15 - 20 minutes and the moisture will be infused onto your feet. I've never used any type of foot mask before so this product was actually exciting to me. They really need to work on the English on the packaging though. "thinned foot for bright and soft" doesn't make sense at all. The Verdict: I had mixed feelings about this month's products. While I really like the skincare focus, it's kind of hard to get excited about things that have been around which you've already used but at least one of them is something that I really like. I don't know if I'm just expecting too much or maybe this isn't the right subscription for me since I'm not new to Asian beauty products. The company recently sent out a survey which I answered with some of what I'd like to see. 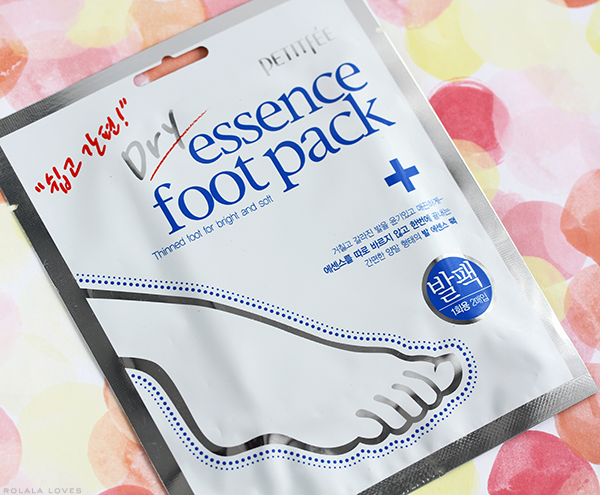 All these products sound interesting but the most intriguing one for me is the essence foot pack as there are not as many foot products out there. I would enjoy all the products, but I am fairly new to Asian skincare, so everything gets me excited quickly, I guess. So far I have only been testing sheet masks I got when I was in Singapore, and I have to admit I have a snail cream sample here that I didn't dare to open quite yet. My feet take a beating by wearing heels and running sometimes in them. 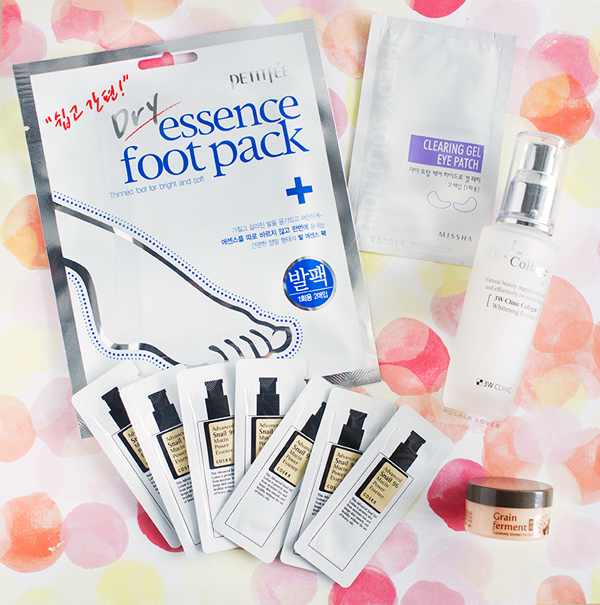 The Foot Essence product sound like something I need and cool to get it in the box to try will like to see a review about it thanks Rowena. Whitening, brightening, potato, potato ;-) Definitely interested in that essence. I have never used a foot mask either, but it sounds really interesting and I'd love to give it a try. Haha, it's really funny that thinned foot... :) It's interesting that Asian products use whitening instead of brightening indeed. I can imagine how do you feel when you are familiar with Asian beauty products, so yes, higher expectations is something absolutely normal. Have a nice day, Rowena! This beauty box is really interesting, great products!!! i loved seeing what yougot in these, even if you had mixed feelings. Honestly never heard any of these products but this box is not as exciting as the previous boxes that I've seen here. I don't blame you for being a tad disappointed and hopefully next month's box will be better. I have heard a lot about snail mucin, but have not used this and these brands sound very interesting. 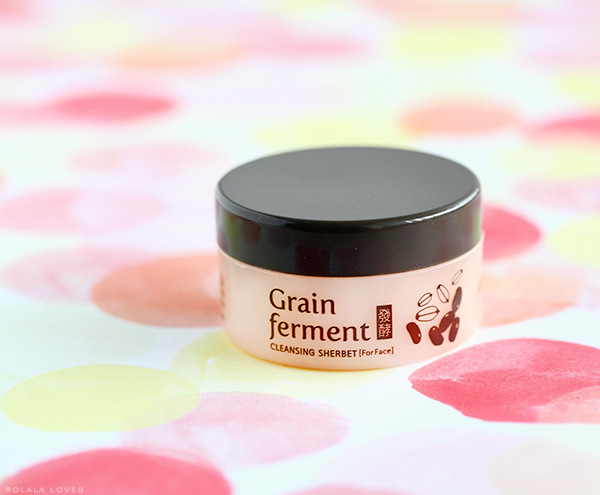 I would like to try the Grain Ferment Cleansing Sherbert. Thanks for sharing this beauty service with us. 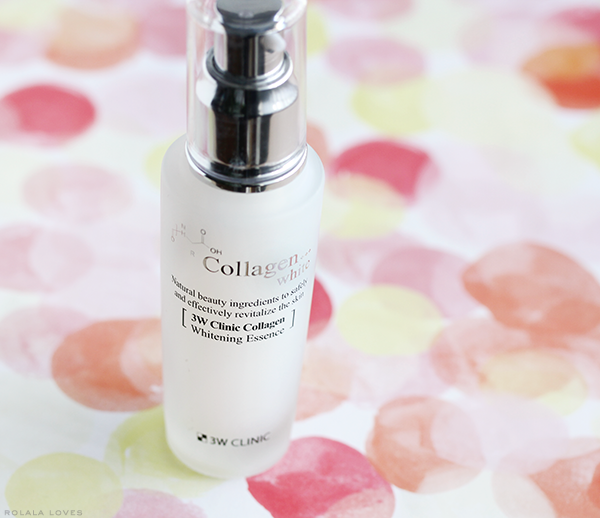 When I saw that collagen brightening product I got so excited lol. I agree with you, I love any product that can illuminate and bring out the radiance in my skin. Love the new product introduction. The CosRx snail thingy sounds pretty promising to me. I haven't heard of any of these products, tho. Sorry that you are a bit disappointed with the stuff. Let's hope next month will get you a better box. I've never heard of these products, but I would love to try them especially the cleansing sherbet...sounds wonderful! Wow that is a pretty decent box. And snail secretion wow, that better work! This looks like an awesome subscription, but I can see why it wouldn't be exciting if you are already familiar with the products. 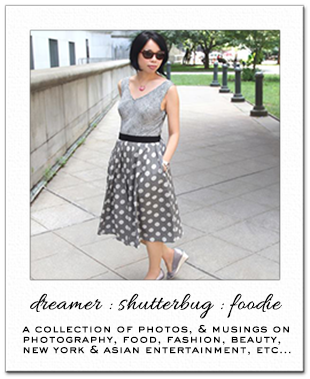 I'm intrigued by so many of these products! The foot mask sounds great. I think I have heard about BBB that is Beauty Beyond Borders and its concept of making Asian skin care more accessible. Moreover, it is possible perhaps even probable that I have read about it on your blog. I do like this concept...it is great that in today's world so many products are accessible...and even shipping doesn't take long as it used to. That snail product essence sounds really interesting. Lovely products and reviews...I see why you are not entirely happy and perhaps it is really not the best subscription for you since you're already familiar with most of these products, but at least you were happy with the skin care products they send. The cleansing sherbet would be a welcome addition to any beauty box and I love the concept of a foot pack, though yes, they certainly need to work on their English packaging haha! I think I would have been a bit disappointed in this too. The point is to discover new products and brands! Hopefully next months will be better. Interesting products this month. The foot pack caught my attention since I rarely see those around here. I've heard of the snail mucin; I'd be interested in trying that since I've heard some good reviews. I have not been too impressed with any of the beauty boxes I have tried. This looks interesting and I like the fact it is reasonable in price. I would love to try the foot product, I never tried a foot mask before. I will have to look into this box subscription. Thanks for the info!! Is the foot mask a peeling foot mask? If they had long term results I'd use one but I think they're probably all temporary. I did get a snail product but I can't bear to put it on my face. I gave the CosRx snail sample I got away but I think the Galactomyces Whitening Power Essence is responsible for my skin looking better than it has in many, many years. I'm glad the snail product is working the same way for you!!! This looks like a great box! I never knew there were foot masks, that probably feels so refreshing afterwards! And I totally forgot until I read your post that I have eye pads I need to use! Yay!